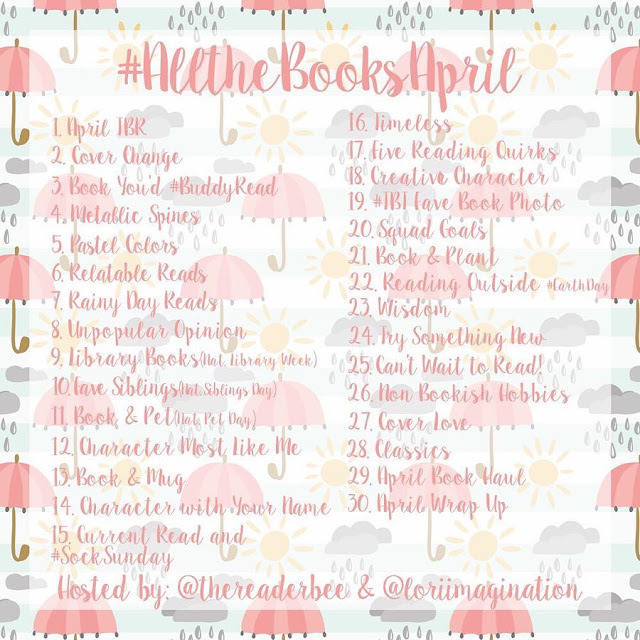 This month’s challenge is hosted by @thereaderbee and @lorrimagination over on Instagram. I’m really looking forward to another month of daily posts. I find this more enjoyable than I did over on Instagram. And I’m not going to lie, I love having an excuse to post every day and to take pictures of my books. Feel free to join me with this challenge for the month of April!